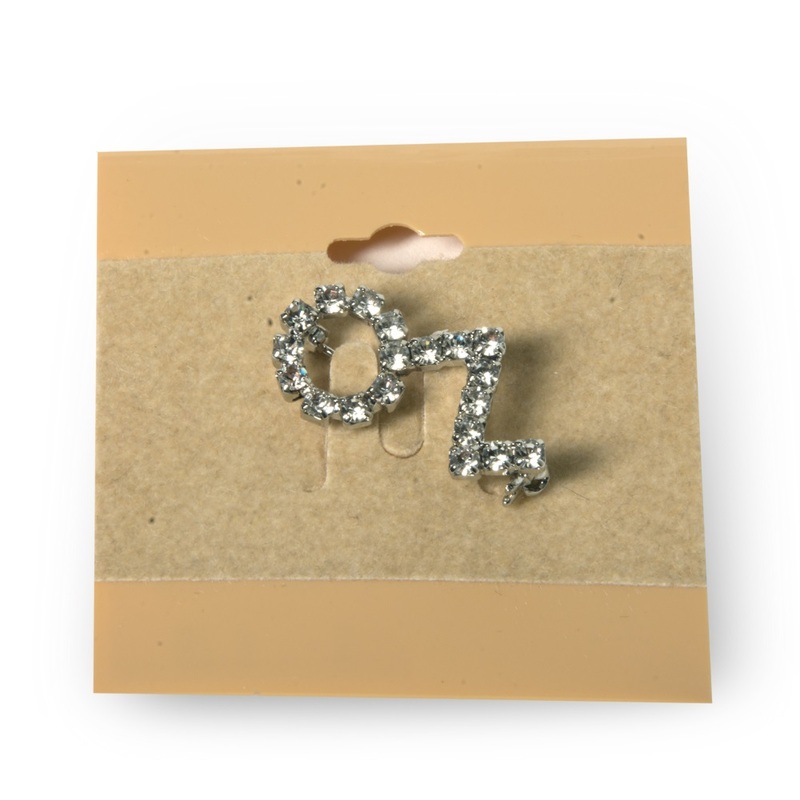 This jeweled Oz pin has a bar pin back clasp. The classic story, The Wonderful Wizard of Oz, by L. Frank Baum, uses a tornado to transport its heroine, Dorothy, from her beloved Kansas to the magical world of Oz. Her sparkly silver shoes provide protection as she searches for a path back home.